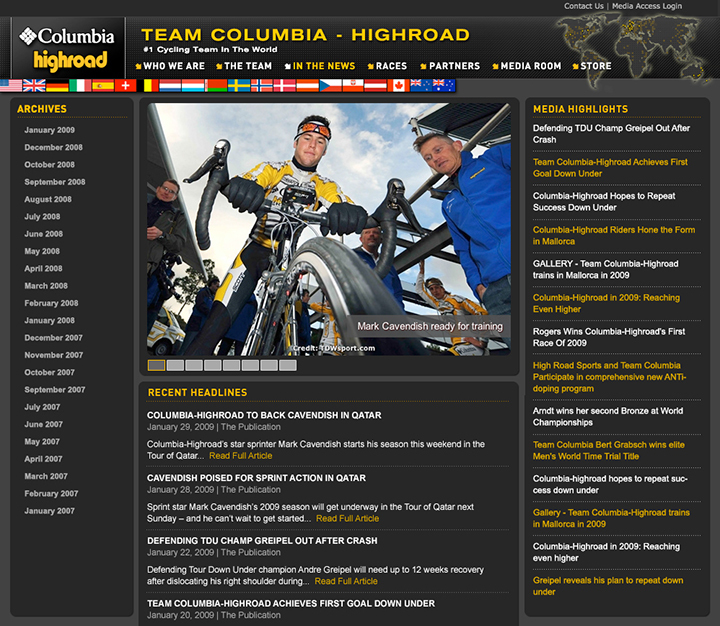 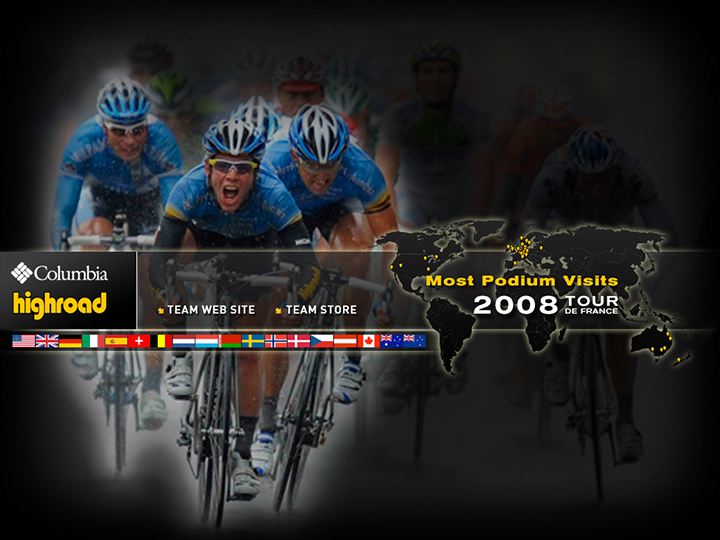 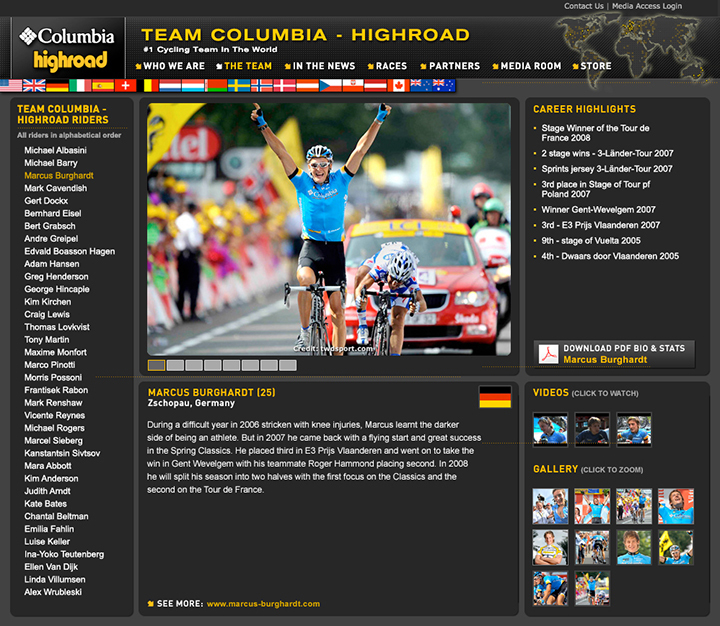 Metrik asked me to help with the piece-by-piece redesign of the web site for Team Columbia Highroad, one of the best cycling teams in the world. 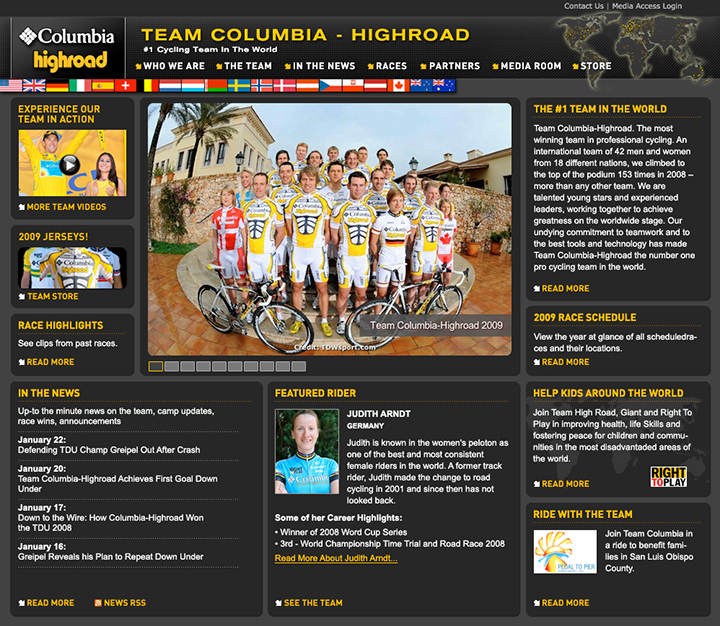 The goal was to organize the large amount of information more clearly and make the site visually more exciting. 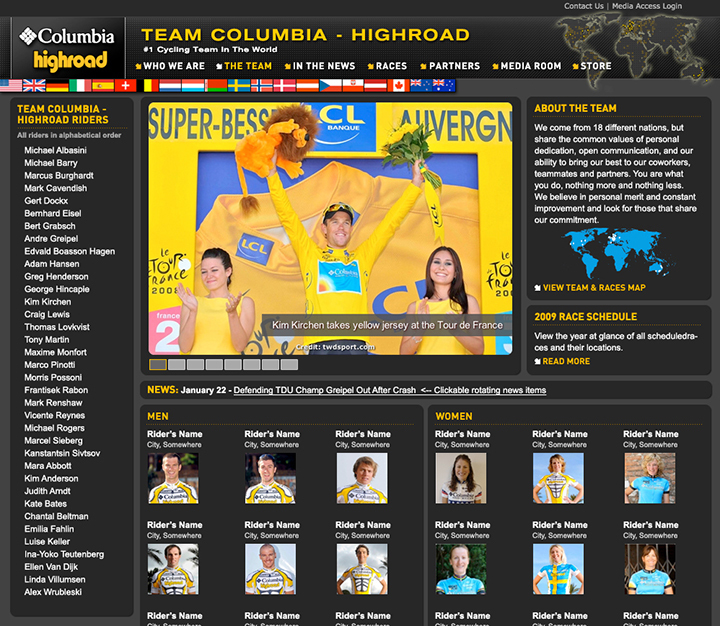 Once design was done, I built out the Flash elements and html/css templates for use by their in-house development team.